Let Dehart simplify the wide variety of systems in your home or business by integrating your electronics into one complete package. We provide professionally installed systems for the West coast of Florida so you can relax while you’re at home or away. Don’t become a victim, call us today to safeguard your property. We are more than just a box. We are more than just an installation team. We offer an experience. From the first meeting to discuss making your ultimate "smart" home a reality to creating your dream office, you will delightedly notice our client care and workmanship. Ease-of-use, reliability, and high-performance are the key elements in all of our projects. 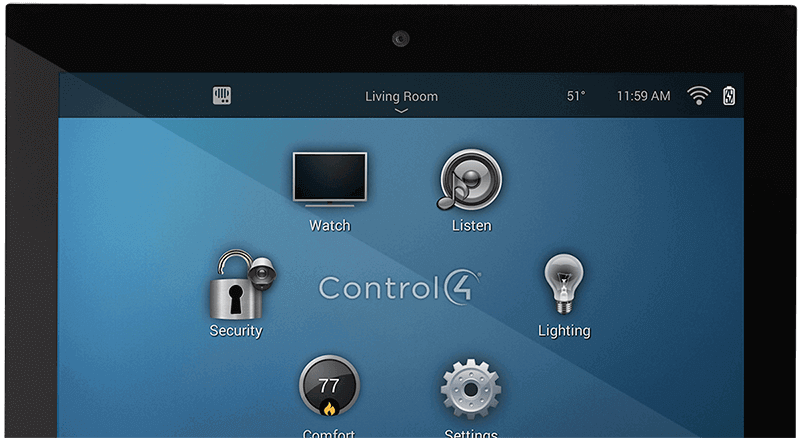 Imagine the peace of mind and flexibility of controlling your music, movies, lights, temperature, and security system from anywhere in the world. Since 1967, Dehart Alarm Systems has set the standard of excellence in security and fire alarm systems in Sarasota, Bradenton, and Manatee Counties by providing local monitoring and home automation. With your device, you can program a variety of lifestyle scenarios to fit the flow of your day. Create an “Away” setting that will set back HVAC settings and turn off all lights, music and TVs when nobody’s around. Program a “Party” setting that will set mood lighting and broadcast music through whatever rooms that you desire. The possibilities are endless and entirely up to you. Our state-of-the-art home and business packages are here to place you on the cutting edge of systems control. We have various touch-screen control systems that allow unprecedented command over every subsystem.